Come face-to-face with our famous Tasmanian devils and wild creatures found nowhere else on earth, discover rare and beautiful Tasmanian plants in a Tasmanian Native Botanic Garden, see Tasmanian artworks in rustic bush galleries and help save endangered Tasmanian devils on our Devil Tracker Adventure. 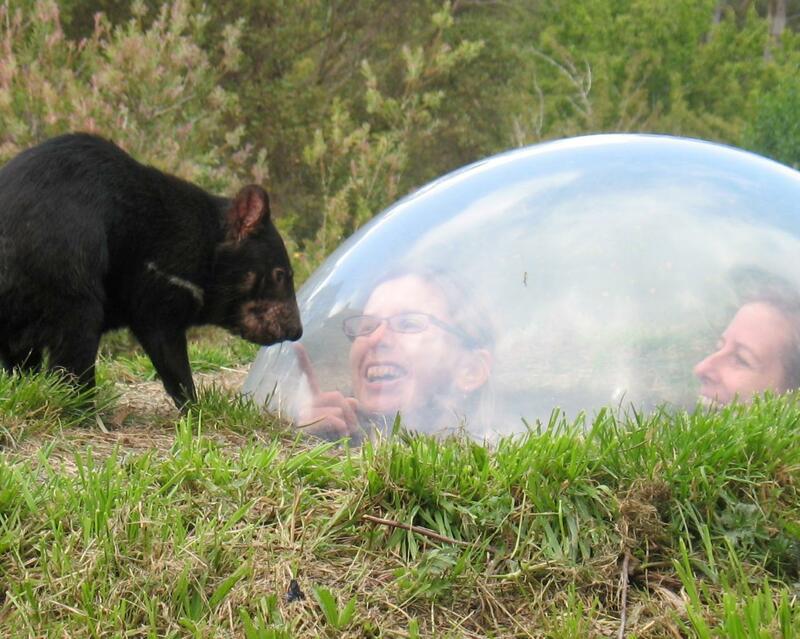 Tasmanian Devil Unzoo is the world’s first intentional Unzoo—a revolutionary project to create a model wildlife and nature experience of the future. It is the vision of international design consultant Jon Coe who in 2007 developed a master plan for the Hamilton family to turn their traditional Australian wildlilfe park / zoo into an experience that immerses you deep in Nature. The changes are profound: hundreds of trees have been planted and bushland reserves created to provide natural habitats for local wild parrots, pademelons and honeyeaters, boundary fences have been removed to welcome the local wild animals, the whole of the Unzoo is now a Tasmanian native botanic garden with a hundred interesting plant stories and guided walks with high-tech cameras display wild possums hiding in nooks and crannies. Essentially, unlike a "zoo" you will, as Jon Coe planned, be looking up to Nature. So now, after nine long years of development and research, it is time for you to be inspired, intrigued, challenged and entertained. Sometimes, you might even find us a little outrageous. We believe our Unzoo is just the opposite of a caged up "wildlife park" and our hope is that it will challenge you to think about the natural world, and your place in it, in a completely new way. Our guides lead 15 interesting wildlife presentations each day with Tasmanian devil feedings every hour or so. Your pre-booked ticket guarantees entry. Add the the Devil Tracker Adventure option as well but do book to ensure a seat. Best of all you will be helping our mission to save the critically endangered Tasmanian devil.